WØEA Blog! : Help a brother out! It seems one of our QRP homebrew brethren has made the difficult choice to temporarily close up shop on his ham radio kit business, Etherkit. 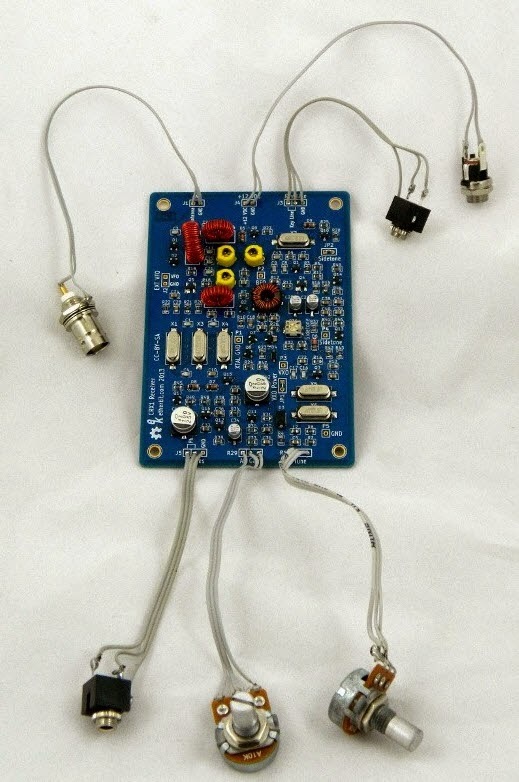 NT7S, Jason, has been designing some really neat QRP kits for the past couple of years and I've built his OpenBeacon. Read about Jason's decision here. He's offering his latest kit, the CRX1 for only $30 plus shipping. It is a surface mount 40m receiver with a lot of options for expanding it to a full QRP station. Do check out the kit and if you can afford it, help him liquidate the rest of his inventory. I do hope he can get back on his feet soon because I know he's got all kinds of great ideas coming down the pipeline.